Wondering what our service is really like? 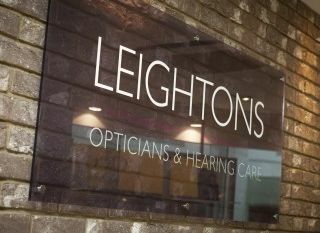 From the little things that make a difference, like our polite and friendly reception staff, to the unsurpassed clinical excellence of our optometrists and audiologists – we’d love to hear about your experiences. If you would like to tell us what you think, please email your comments to us. Thank you! From my first visit to book an appointment through to collecting spectacles the staff were helpful, friendly but at all times professional. I would have no problems at all recommending to family and friends. Most pleasant and attentive. Did not feel pressured or overwhelmed. My new sunglasses are perfect - a 75th birthday present. The glasses were reasonably priced, another local company had quoted a considerably higher price. I will definitely be using and recommending you in the future. My eye tests were carried out by friendly staff who were happy to answer my questions and explain scan results. I have been treated with care and compassion by Keith and the team at Poole. I had attended an eye clinic at Hospital for 20+ years and never had tests to this level there.